Los Angeles, CA -- Thousands of African Americans have left Facebook and joined MeWe, the Next-Gen Social Network. Your race, religion, politics and sexual orientation are none of MeWe's business. Unlike Facebook, MeWe does not share or sell its members' data, and members are never targeted. Facebook has shown a remarkable and egregious bias against African Americans by allowing political ads targeting African Americans aimed to suppress their votes. 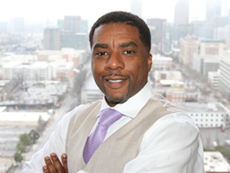 "I strongly support the NAACP's week-long Log Out Protest," says MeWe CEO, Mark Weinstein. "It's important that we all send a message to Facebook that their egregious practices and betrayal of African American users are unacceptable." In December, MeWe has ranked multiple days as the #1 Trending Social App in the Google Play Store. 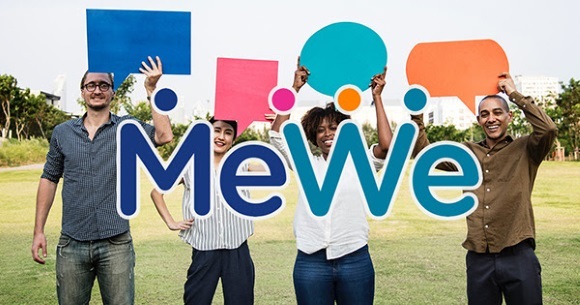 MeWe is adding over 30,000 new members daily, and its 400% annual growth is completely organic - the company is running no advertisements. Nationwide B.L.A.C.K. 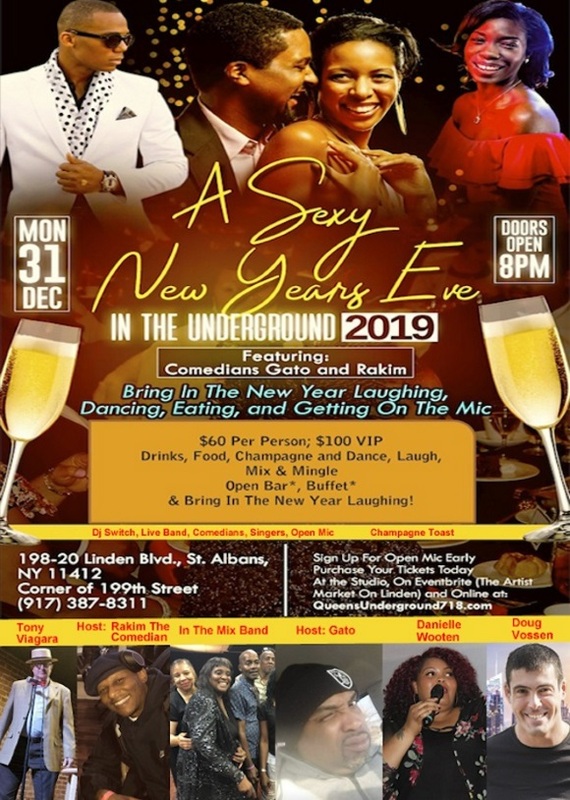 2 Life is a 501(c)(3) non-profit organization whose mission is to empower Black Men to strengthen underserved communities through education and inspiration. The organization sponsors activities that promote childhood literacy, mentorship, scholarship promotion, community service initiatives and charitable giving. The acronym B.L.A.C.K. stands for Bringing Love And Conscious Knowledge 2 Life. B.L.A.C.K. 2 Life or B2L recruits Black Men worldwide to host free book drives for children and to interact positively within the communities they live in and serve. As black men, they plan to galvanize our communities to combat the often-overlooked impact that illiteracy has on mass incarceration and the criminal justice system within our communities. B.L.A.C.K. 2 Life has worked tirelessly this past year enacting their mission across the globe, but they need more volunteers and financial support. 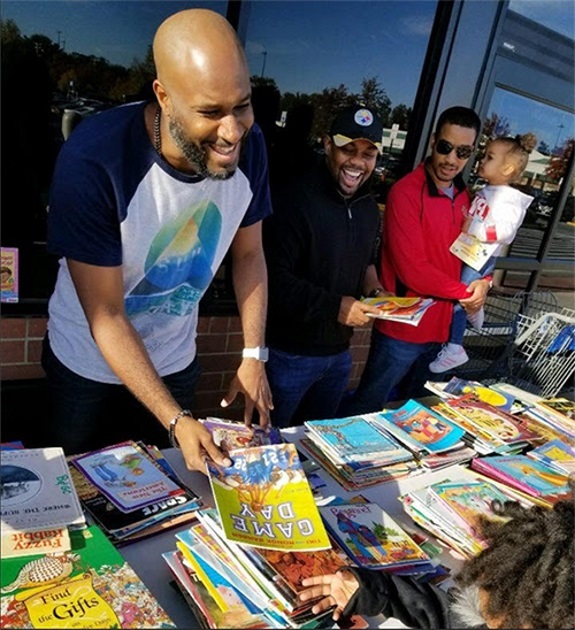 Since the organization's founding in 2017, B2L has given out over 30,000 free books to children in 18 cities in 14 states. Maywood, IL -- The pay system used by the United States Postal Service and many other government agencies has become outdated in a sense that technological advancements of today is no longer compatible with the slow-paced practices from decades ago. Unfortunately, the postal system of America has seen no change in the processes they use in recording clockable hours and converting this to employee income. Larry Pinson Sr. took the initiative to create an organized system that can be better understood by the ones who are using it. In his book CHAPPS: Clockable Hours Application Process and Pay System, he explains how postal employees are being paid unfairly in the current system, and it shouldn't be the case if people are more aware of how each hour of their work is being commissioned. He also includes information and explanation on non-scheduled days, part-time flexis, overtimes, night differentials, leaves, holidays, and much more. Labels: CHAPPS payment system, Larry Pinson Sr.
Nationwide -- Books are a very important learning tool within a society, and this has been so ever since the written word was manifested. 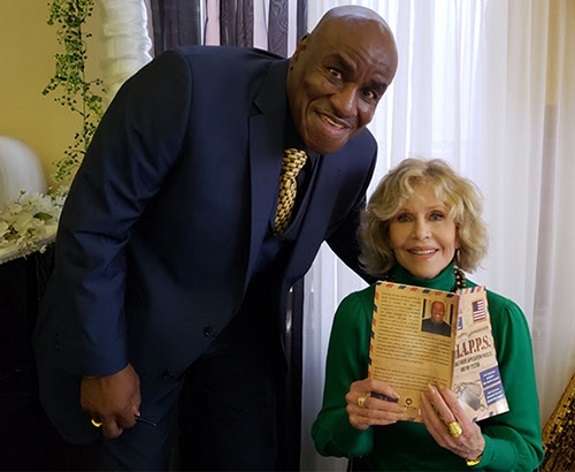 In fact, Therone Shellman acknowledges that books saved him from a life of crime, self-destruction and even possibly death. Therefore, it's no wonder when he decided to write, the decision was made to pen works which will enlighten, and inspire. "People of African descent need to tell their own stories, read their stories, tell their own history from their perspective, and read their history from their perspective. Most of all they need to define their own narrative," Shellman explains. It's this sense of responsibility, Therone has taken on with the introduction of his first book over a decade ago, Love Don't Live Here (revised edition). A novel based on the lives of two young African American women. Who through different circumstances become single mothers. Both realize, their main plight in life is to raise their sons to become productive men within a society, which is geared toward their demise. Borough President Katz, is now accepting applications from motivated college and high school students interested in public service and seeking an internship opportunity in 2019. Do you know students interested in the visual arts who may want to go to college for art and pursue a creative career? 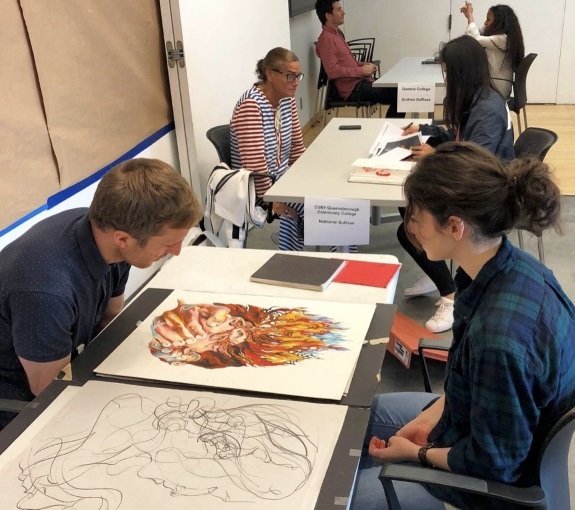 Labels: Do you know students interested in the visual arts who may want to go to college for art and pursue a creative career? The Jamaica Service Program for Older Adults is pleased to present An Open Forum on Alzheimer’s Awareness. 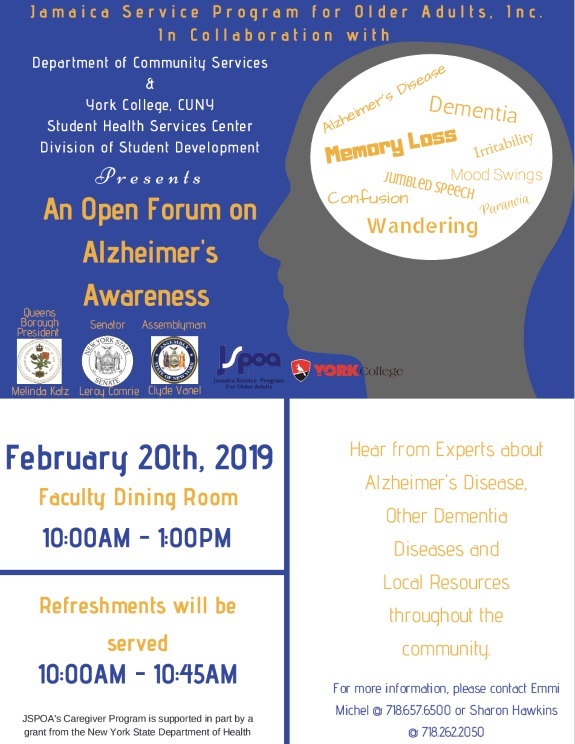 Come hear from expert about Alzheimer’s Disease and other related conditions. Labels: For more information, please contact Emmi Michel at (718) 651-6500 or Sharon Hawkins at (718) 262-2050. Of the more than 330,000 U.S. students studying abroad, only 6.1 percent are African American and 10.1 percent are Latino. 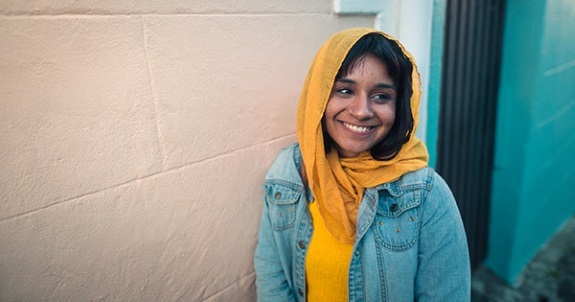 This is one in a series of articles by students of color who are breaking down barriers by studying abroad thanks to the Frederick Douglass Global Fellows program, which awards 10 full scholarships a year to students at Minority Serving Institutions. These students will periodically share their stories, hopefully inspiring others to apply. Join our social media campaign, #CIEEmpowered #MSInspirational #FrederickDouglassGlobalFellows, launching on January 7, 2019 that will celebrate these extraordinary students and their experiences studying abroad. Nationwide -- Tesix Wireless, a telecommunications company announced its launching in summer 2018. It has since gandered the attention of interested customers and private investors with interest in the startup. With their interest, Tesix Wireless received investing and acquisition offers from investors taking the company to $5.9 million dollars in value. Although Tesix Wireless launch is set for January 2019, the company has managed to generate 3,000+ early wait list subscribers in under a 3-week time frame. They've further generated numerous pre-sales for their network's Sim Kits from enthusiastic customers looking to switch. Nationwide -- Beauty Supply Lending Group, an organization recently founded by Professor Devin Robinson, who wrote the best-selling book Taking it Back: How to Become a Successful Black Beauty Supply Owner in 2007 and founded Beauty Supply Institute in 2008, continues his work in the ethnic beauty industry with this additional endeavor. When asked, why take this step? he said, "My goal was always to become a one-stop shop for those interested in store ownership. It is a lucrative business to get into, but start-up capital was always the top obstacle for them." 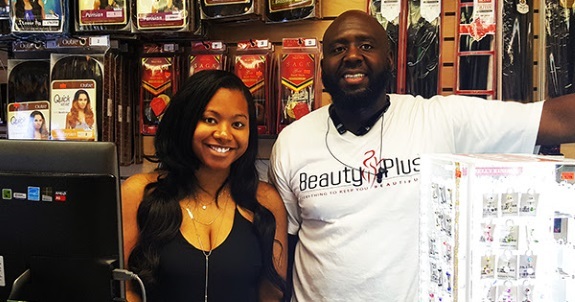 In 2010, Beauty Supply Institute began hosting two biannual conferences; one on the west coast and one on the east coast, to educate individuals on the overall business, how to get in and if is best for them. 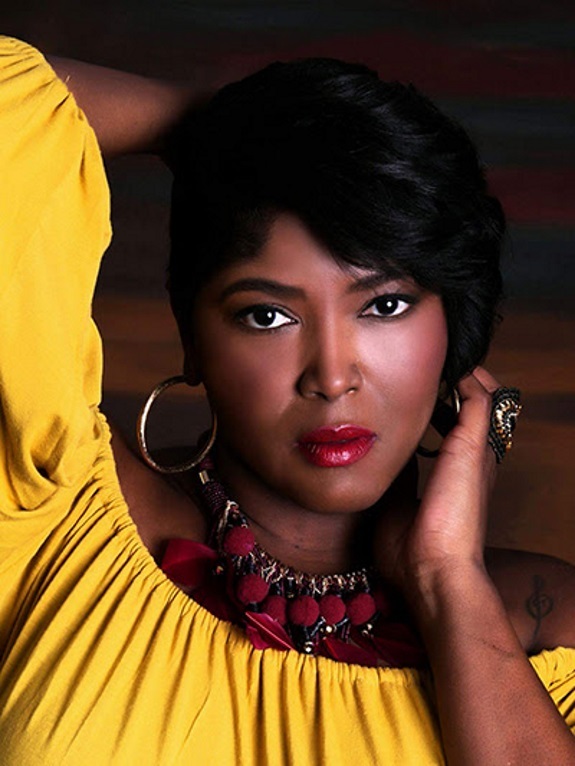 Nationwide -- May December is the official debut music video from R&B Jazz artist, Carol Ann Brevard. This colorful, melodic vibrant tune is perfectly paired with the music video directed by veteran actor and director, Joseph H. James Jr.
May December is track number 11 from Carol Ann's debut album entitled "Greatness", written by Carol Ann and produced by she and band member/Musical Director, Mike Rens along with singer/musician Lee (formerly of Jazz Funk band, The Square Egg). "When I first heard the track, I immediately loved the international and commercial sound. The song was an excellent choice to create a music video and use the seasons as characters in the video. The music video opens big, then brings you inside an intimate setting with the singer and her male lover. 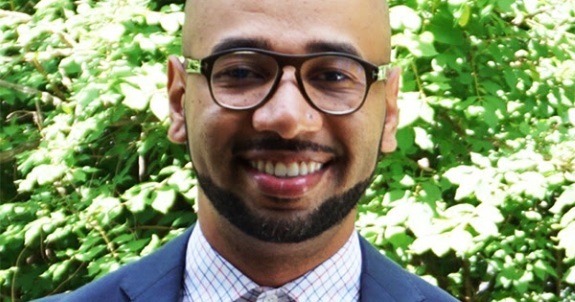 Nationwide -- Dr. Carter D. Womack, President of Leadership At Its Best announces that the Ohio State University, Trio Upward Bound program, Office of Diversity and Inclusion has engaged his team. 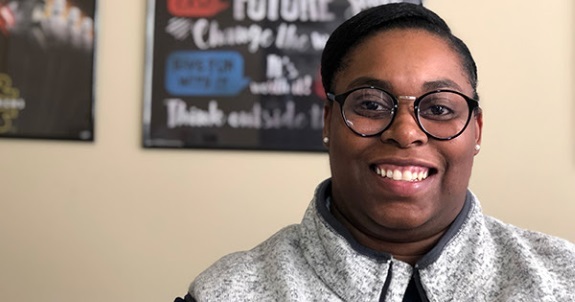 Leadership At Its Best will conduct its Junior Executive Development (JED) leadership program says Dr. Laura Commodore Program Manager of the Upward Bound Programs. The Ohio State University. Dr Commodore said, "We are very excited to work with Dr. Womack." The JED leadership model focuses on the development of life and professional development skills needed by high school students to become successful in school and the world of work. In addition, the JED Program prepares students to become leaders in their school, peer-to-peer counselors and role models. The JED program also engages the students in community service programs and projects. Nationwide -- Have you ever considered the phrase "Good credit health is the gateway to building wealth"? If you haven't, you should. In order to truly maximize success in life, one must dig deep when it comes to personal credit health & finance. Credit repair isn't just about credit report clean up. "Bad credit doesn't just happen, there's something internal that's misfiring," states board certified credit consultant and bestselling author Juan Anderson. "This could include poor spending habits related to lack of self-confidence or just not having the proper credit education. We need to start taking a holistic approach to credit repair, if we really want to see results." Many people think that credit repair is simply removing negative items from one's credit report, but if better habits are not practiced, people will find themselves right back in the same situation prior to seeking help. You can have a bank account full of money, but if you haven't learned that credit should be your money's trusted companion, you're not living your best life. 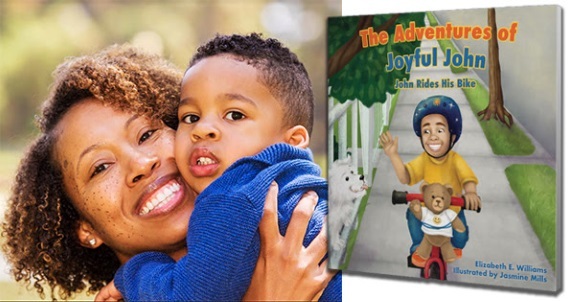 Dallas, TX -- Child author Jamarion Rainey will make his first public appearance at the 1st African American Dallas Lit Book Expo on June 22 with his first book, ADHD and Me: The Key. The 8-year old author and student will introduce his first book, which was written to help children who may suffer from ADHD and its seriousness through the experiences and adventures of his characters from behaviors at home and school, hailing from ADHD. Jamarion was diagnosed with ADHD in 2014 and it was a big-deal to cope with and a lot of people don't understand it or take it seriously. Jamarion is now eight years old and an Amazon children's book best-seller. He wanted other children like him to know that everything will be okay. He wanted people to know his story because a lot of people don't know what ADHD is, how it affects your life, and the steps to take to help guide other children through it. "Jamarion experienced a lot of turmoil in his previous school because the school was not privy of ADHD and its seriousness. It was overwhelming at times, but we're growing through it with him. We just sat down one day and talked about his feelings and concerns. He told me he wanted others to understand him and at that point I helped him with his first book," his mother Kendra says. Atlanta, GA -- The coaching industry is an extremely lucrative career for those willing to put in the work. It's truly a career that is centered around authenticity, creativity, and a person's skill set," says coaching instructor extraordinaire Sarita Pittman. Ms. Pittman, knows what it means to move a business beyond any four walls to effectively reach ideal clients and the market. 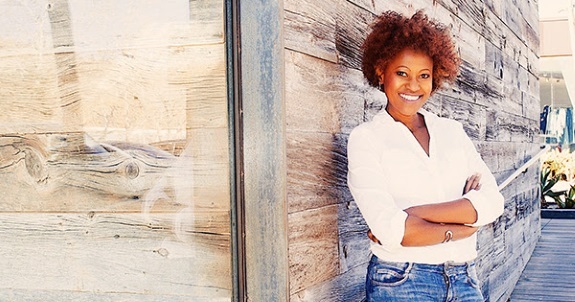 She also understands the fears, self-doubts, insecurities, and life-blows that come to make business owners feel inadequate about starting, growing and maintaining a business. Above all else, her aim is to help them successfully hit their personal, professional, and psychological goals. 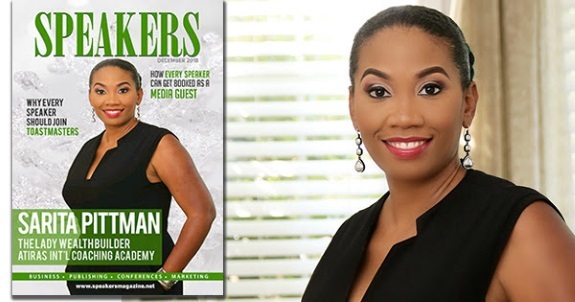 In 2018, her company certified an extraordinary 1,000 life coaches for 73 cities through the Atiras International Coaching Academy and in January 2019, she will host a celebratory event called "Success Without Walls." 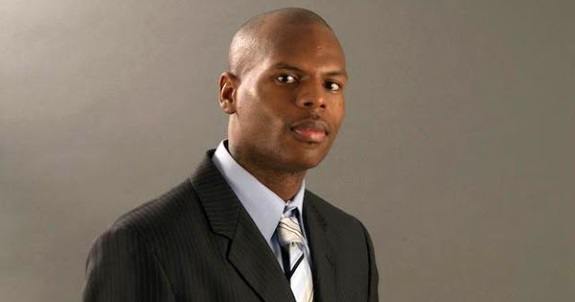 Nationwide -- After airing on CNBC affiliate KCAA radio, broadcasting to the Riverside and San Bernardino County, California community on 106.5 FM, 102.3 FM, and 1050 AM for the past year, Justice Watch with Attorney Zulu Ali has announced national syndication on the GAB Radio Network scheduled to begin December 30, 2018. The program will continue to broadcast on KCAA but will make its broadcast available to a national audience through radio stations around the country. Justice Watch with Attorney Zulu Ali broadcasts live every Sunday from 5pm to 6pm (PST); however, dates and times of broadcast will vary depending on station and time zone; some broadcasts will be pre-recorded. Attorney Zulu Ali along with the Justice Watch crew: Executive Producer and Co-Host Rosa Nunez; Co-Host Michael "Bilal" Clark; Expert Commentator Dr. Aquil Basheer; and Program Administrator Charito Ali discuss a vast number of legal and social justice issues to inform the listeners and to foster a strong sense of community. 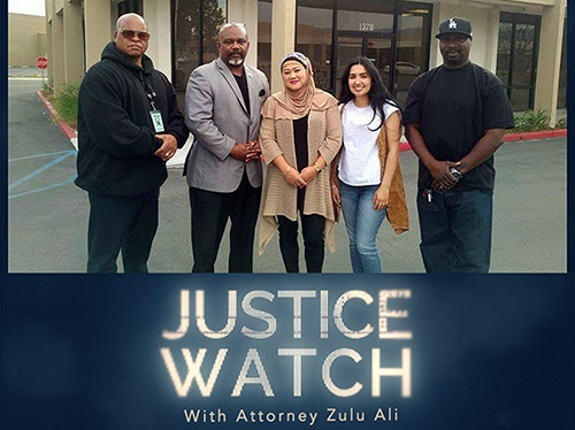 With 51 episodes aired, Attorney Zulu Ali and the Justice Watch crew have provided their listeners with informative discussions, debates, and information on criminal and social justice topics ranging from Police Brutality and the Immigration crises to Prison Reform and Juvenile Justice. Nationwide -- One non-profit organization is dedicated to aiding those less fortunate. Established in the heart of Fort Worth and Dallas Texas, they've aided the less fortunate for over 20 years now. Many of those they helped were able to get back on their feet and start their lives a new. 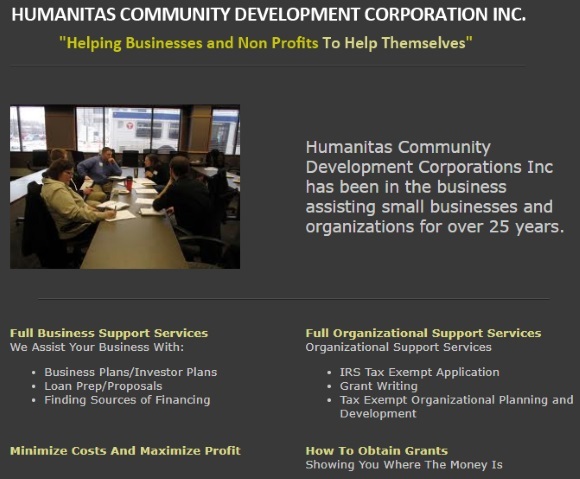 The Humanitas Community Development Corporation (CDC) was established in April of 1988 under the sponsorship of another nonprofit to assist low income and economic distressed business with consulting and organizational experience to secure federal, state, local and private funds for rural and urban Tarrant County. Their goal is to bring dollars to low income and economic distressed business areas to help the poor. Other areas of importance to Humanitas include New Job Creation, New Business Development, Housing and Rental Development for the Poor, Corporate and Community Economic Development Partnerships, Banking and Financial Institution Support, Economic and Community Development Feasibility and needs assessment studies in low income and economic depressed business areas, and Banks and the Community Re-Invest Act. 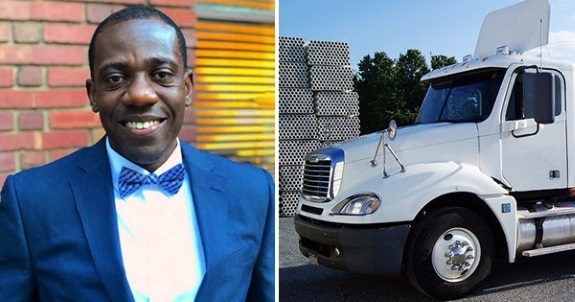 Nationwide -- Benjamin Dorsinvil, Founder and CEO of Golden Freight Brokers, has launched the first transportation technology company led by an African-American in Florida. The startup company helps small and medium-sized businesses find carriers to move their freight. Tampa, FL -- Kella McCaskill has launched a greeting card line called The Expressions of You to share illustrative images with meaningful expressions for the moments in life that matter the most. Kella spent over 20 years in the mortgage and real-estate industry while volunteering in her church and community. Her greeting cards have shared inspiring messages for many for years as she encountered various matters with families in her church, career and community. Kella saw the need for people to be encouraged and inspired with meaningful life filled words. "The journey of life requires that we are all encouraged and inspired at some point in time," she says. Her greeting cards highlight love, divorce, graduations, Mother's Day, birthdays your way, a birthday tribute from a 110-year old woman in Tampa, Thank You cards, Anniversaries, Weddings, Retirement, National You Day celebrations and more. 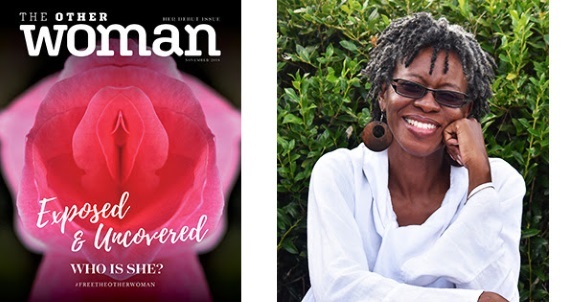 NEW BLACK-OWNED PUBLICATION, "THE OTHER WOMAN," MAKES ITS DEBUT! Nationwide -- Candy Publishing is proud to announce the debut issue of The Other Woman, a publication exposing the woman who has been mysteriously lurking behind the scenes of every woman's life. Women have been cheated for too long, and it's time to face the other woman. The Other Woman will infuse life into women with enlightening articles addressing the raw reality of every aspect of a woman's life. 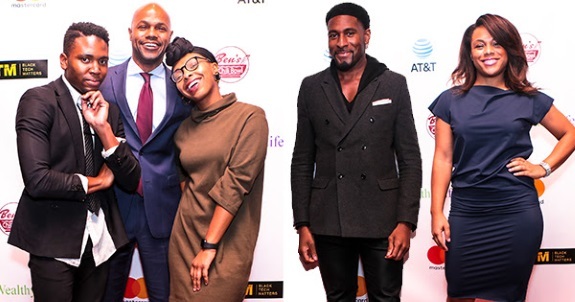 Washington, DC -- Wealthy Life and #BlackTechMatters recently recognized 6 honorees from tech and STEM innovation at Ben's Next Door on the 27th of November. Each of the honorees were awarded a "BlackTechMatters Influencer Award" courtesy of Wealthy Life and participating sponsors - AT&T, Mastercard, Ben's Chili Bowl, BlackPR.com, Lee's Flowers and the Charter School Development Corp.
Jamaica, NY — The Southern Queens Park Association (SQPA), in partnership with NYS Senator Leroy Comrie, The I Am Wonda Woman Foundation, and others will mark the holiday season with a tree lighting ceremony at Roy Wilkins Park and by distributing toys to local youth this holiday season. 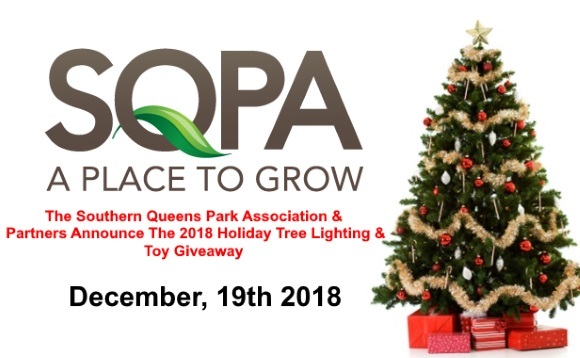 "We are proud to continue our rich tradition of giving back to our youth by celebrating the Christmas and Kwanzaa season at SQPA.” said Senator Leroy Comrie. "This year, we are proud to partner with the I Am Wonda Woman Foundation and others to not only provide toys and entertainment to our youth, but to talk with them about mentorship, empowerment and uplifting our community." Nationwide -- People are spending more time than ever before inside, and according to the Environmental Protection Agency the average person in the United States spends only 7% of their lifetime outside. 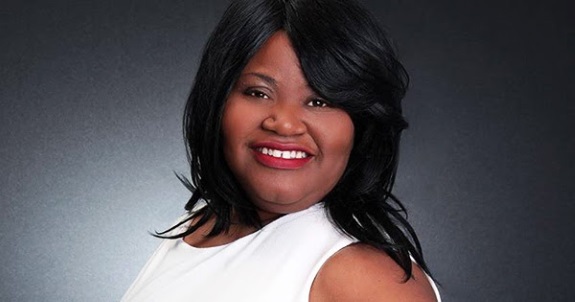 Health equity advocate and entrepreneur Elizabeth Williams is working to help parents and children alike reconnect with a love of the outdoors. Nationwide -- "Government should never be allowed to play tricks with laws as this would completely endanger our American legal system. Yet the City of San Francisco's behavior is very suspect in this regard - the city changed a key law during a pending case that allowed it to win key aspects and millions" asserts Anna Kihagi. The timing of their sudden change in law makes it suspicious that the intent was to sabotage Ms. Anna Kihagi's defense. She had already won a critical motion in March 2016, and the rulings in that case and smart arguments made by her solo Vietnamese attorney must have confounded the City's five attorneys. By the time the City filed its case, the alleged "violations" had either already been resolved or were created by tenants' City-inspired efforts to flood the DBI; tenants even bragged that these complaints didn't matter but were being made to harass Ms. Kihagi. Judge Angela Bradstreet therefore imposed over $2.5 million in fees for supposed violations that had "already been abated" not to mention they were fighting about failing to get permits to remodel kitchens and bathrooms similar to what 80% of other landlords do, and of course, no cases are filed against those other landlords. Nationwide -- More than 90 students from Historically Black Colleges & Universities (HBCU) participated in the third annual NFL CAREERS IN FOOTBALL FORUM, as part of the Celebration Bowl in Atlanta, Georgia, on December 14. "The NFL Careers in Football Forum aims to drive awareness of career opportunities and create access that may lead to employment in sport," said TROY VINCENT, NFL Executive Vice President of Football Operations. "This forum connects opportunity with potential. The more diversity and inclusion of people, skills and ideas, the better the game of football." 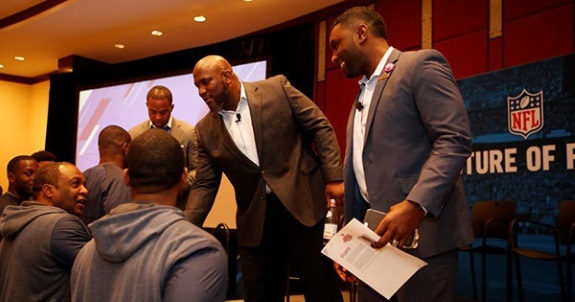 The Careers in Football Forum is an extension of the NFL's broader partnership with the HBCUs. Through this effort students from participating institutions are given the opportunity to learn about preparations and skills needed to secure employment in all aspects of the business and administration of professional football. "Once again, the Mid-Eastern Athletic Conference is honored to partner with the NFL to provide opportunities for our students during the week of the Air Force Reserve Celebration Bowl for the third consecutive year," said DR. DENNIS E. THOMAS, Mid-Eastern Athletic Conference Commissioner. "Having the opportunity to network and dialogue with NFL front office, human resource and team personnel in an intimate setting is an invaluable experience which should benefit our students in their future employment opportunities." 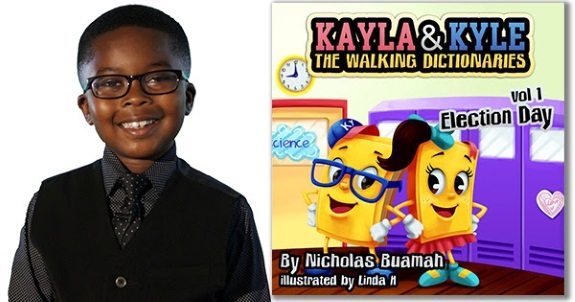 Snellville, GA Child author Nicholas Buamah will make his first public appearance at a book signing at 1pm on Saturday, December 15th at the Snellville, Ga. Barnes & Noble to debut Kayla & Kyle The Walking Dictionaries: Election Day. The 7-year old budding author and Honor Roll student will introduce his first book, written to help children expand their vocabulary through the experiences and adventures of characters Kayla and Kyle. 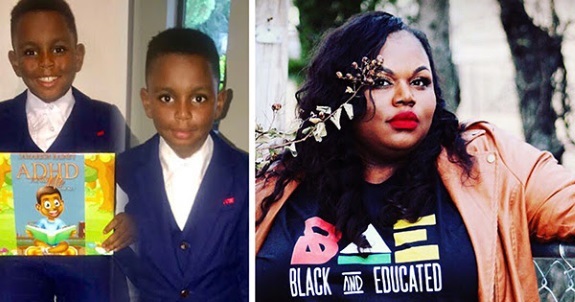 "Nicholas is your typical charismatic second grader who loves to hang out with friends, play chess, tennis and basketball and cheer on his favorite team, the Golden State Warriors," said his mother, Danielle. "I developed the character of Kayla when Nicholas was younger to help teach him expanded vocabulary. After being praised by his first grade teacher for using the word 'collaborate' during his first week of school, I asked Nicholas what he thought about writing a book to help his friends expand their vocabularies. He thought it was a great idea, as long as one of the main characters could be a male figure, and that's when he created Kyle." Are You Surviving A Devastating Tragedy? Be Inspired With How Bernice Dickey Survived Her Worst Nightmare! I Was Living My Worst Nightmare!! By Bernice Dickey, Author "My #1 Is Still My #1"
I was living my worst nightmare!!! I woke up one day, married and the mother of two, in an instant I was living my worst nightmare! My husband and 10 year old daughter were both dead and my 1 year old daughter was the lone survivor of the very same accident that killed them. She was critically injured and I couldn't process the enormity of the multiple losses I was suffering at the same time. The grief and loss I experienced as a result of this tragedy was more than I had ever known anyone to bear, let alone survive. I was just going through the motions of life, numbed by the pain of grief and loss. I didn't know what to do, nor who to turn to, BUT, GOD! I remember when dates on the calendar would become huge emotional triggers for me because they reminded me of who wasn't here with me anymore. Birthdays of loved ones who didn't live to see milestone ages that others seemingly took for granted. Wedding anniversaries that left me wondering where we would be on a trip celebrating this year, if he were still here. The Democrats have taken over the leadership positions in State government in the last election. 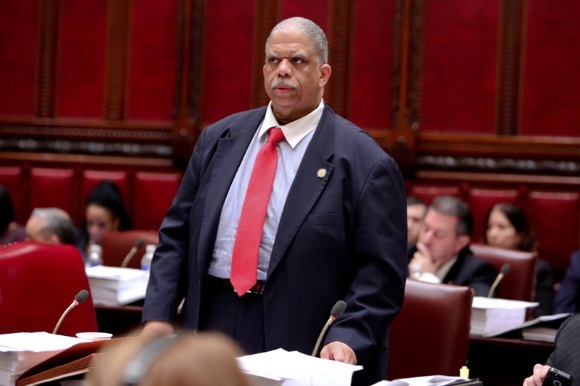 Therefore, State Senator Leroy Comrie representing District 14 including parts of Southeast Queens like St. Albans, Cambria Heights, Jamaica, Hollis, Rosedale, Laurelton, Kew Gardens, Queens Village and other neighborhoods has been appointed the important chair Of The Committee on Corporations, Authorities, and Commissions. 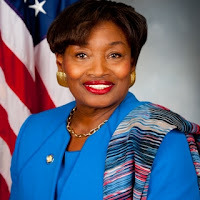 He was appointed by Senate Majority Leader Andrea Stewart-Cousins (picture on left). This is an significant appointment given the economic development being done in the upgrades of two area airports JFK International and LaGuardia Airport, Downtown Jamaica, and now the Amazon HQ2 in Long Island City. Comrie is the second area State Senator to get appointed to a major economic chair position from Southeast Queens. 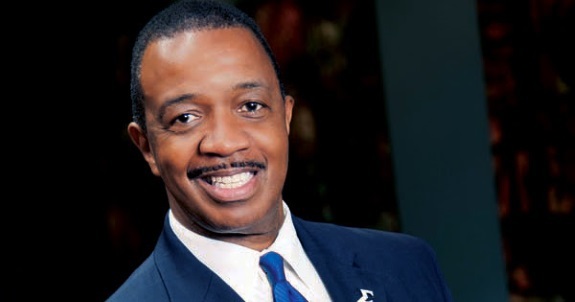 Recently State Senator James Sanders, Jr., was appointed as the new Chairman Of The Senate Committee on Banks. Comrie and Sanders should wield significant economic influence in the area which could bode well for residents fortunes especially with all the economic opportunity. 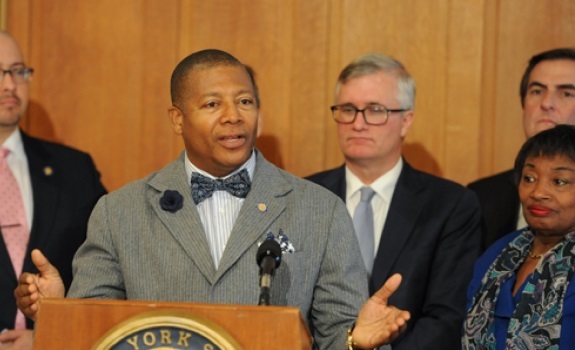 Both Senators have been creating training programs to help area residents get jobs and business opportunities within the epicenter of economic development that is now Queens, NY. The role of the Committee on Corporations, Authorities, and Commissions has been described by Former Chair Jeffrey Dinowitz as the following "The Committee holds jurisdiction over the laws that affect private, non-profit and public corporations in New York, with a focus on the organization and actions of the State’s public authorities to ensure these entities act in a responsible, fiscally sensible, and transparent manner. These public corporations and authorities are created through state law to provide infrastructure, mass public transportation, power generation, and construction services. The largest such authority is the Metropolitan Transportation Authority which operates subways, buses, and commuter rail lines in the New York City metropolitan area. Additionally, the Committee monitors the activities and policies of the Public Service Commission. The Commission is responsible for ensuring that residents of New York are being provided with reasonable service and rates from water, electric, gas, and telecommunication utilities." Upper Marlboro, MD -- Although they are an increasing segment of our populations, many do not understand the level of responsibility that caregivers carry. Caregivers are an often overlooked, yet vital segment of our population. According to data from AARP, 43.5 million caregivers have provided unpaid care to an adult or child for at least 12 months. Nearly one in six working adults have responsibilities of providing care for a family member. On average African-American caregivers spend 30 hours each week performing caregiving duties. This causes significant impact on their lives. Additionally, 69% of working caregivers caring for a family member or friend report having to rearrange their work schedule, decrease their hours, or take an unpaid leave in order to meet their caregiving responsibilities. These situations can adversely impact the mental and physical health of the very caregivers who are providing support for others. 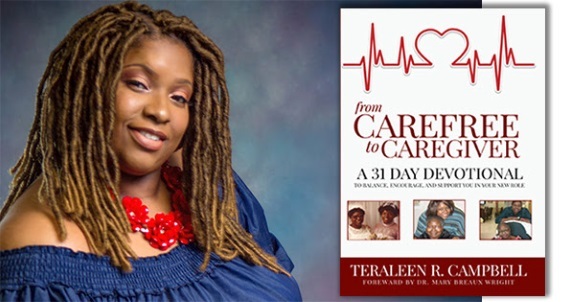 In "From Carefree to Caregiver", Teraleen Campbell provides much needed support for caregivers. In the book, she chronicles her seven-year journey as a caregiver. During that time, she provided care for her mother. The book is formatted as 31-day devotional book. Each daily passage provides an inspirational reading in addition to a prayer and space for journaling. This is Campbell's way of encouraging self-care, which she found important while caring for her mother. "I realized the importance of taking some time for focus on me and what I was dealing with, in addition to processing what was happening in my life. I became mindful that if I wasn't healthy, I couldn't adequately care for my mother." 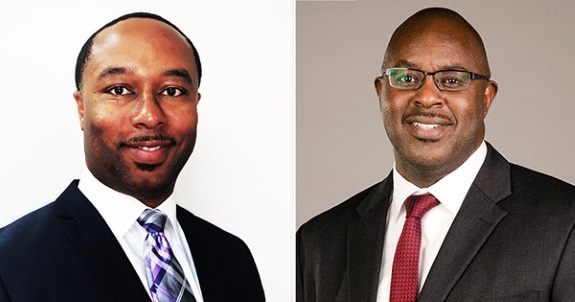 Nationwide -- Oil industry veterans, Donald Glover and Harold Thomas, want black people to participate in the behind the scenes world of oil and gas by utilizing the power of Blockchain technology. African Americans are a large consumer of fossil fuels and low on the supply chain in terms of involvement and profit. Reserve Oil and Gas Coin (ROC) is an innovative project aimed to making an impact on that dynamic. The Oil & Gas industry does over $1.7 trillion dollars in business every year. Oil and Gas production yields profits that are bigger than the raw metal markets and Gold markets combined. Some of those profits are tapped into by investors that go through traditional avenues of investments such as Oil and Gas Stocks, EFTs (Exchange Trade Funds), and Mutual Funds. However, your typical average African-American millennial or even baby boomer - knows very little about these investment avenues. Those that do know may have to rely on investment advisors to funnel their funds into these investments for them. Reserve Oil and Gas Coin has created an offering that allows disadvantaged markets, with limited access to investments, an opportunity to invest at the ground level and share in the profits of oil and gas for themselves. Aurora, CO -- Run & Shoot Filmworks' Martha's Vineyard African-American Film Festival (MVAAFF) is excited to announce that it has been approved by the Academy of Motion Picture Arts and Sciences as a qualifying festival for Short Film Awards. Short Films that receive the MVAAFF Best Short Film award may now be eligible to enter the Academy's Short Film competition for the concurrent season. 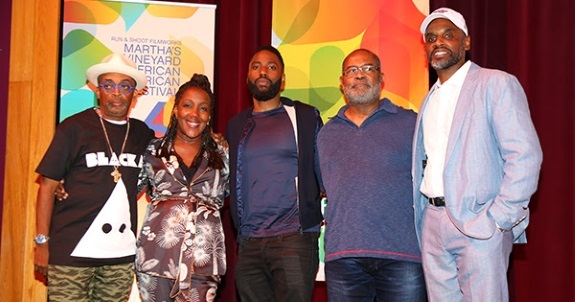 This is a first for the Martha's Vineyard African-American Film Festival and takes the 16-year old film festival to new and exciting heights. 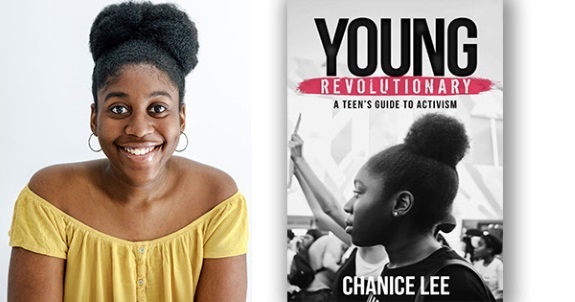 Fort Lauderdale, FL -- Chanice Lee's book Young Revolutionary: A Teen's Guide To Activism has sparked a worldwide youth revolution. The teen activist says she wrote her debut book to "give teens the confidence, tools, and resources needed to be successful activists, leaders, and change-makers." The book entails valuable information for any young person looking to get into activism, but isn’t sure of where to begin. With chapters such as "Know Your Rights", "Educate Yourself on the Cause", and "Put Your Passion Into Action", Young Revolutionary is the perfect fit for any young person who is ready to get out into the world and make a change. The go-to teen activist guide is available on ChaniceLee.com, Amazon, and in select Barnes & Nobles locations across the country.